Wonder Years Pre-School strives to continuously develop, refine and deploy an educational program that provides a strong foundation for your children to reach their highest possible potential in the future. 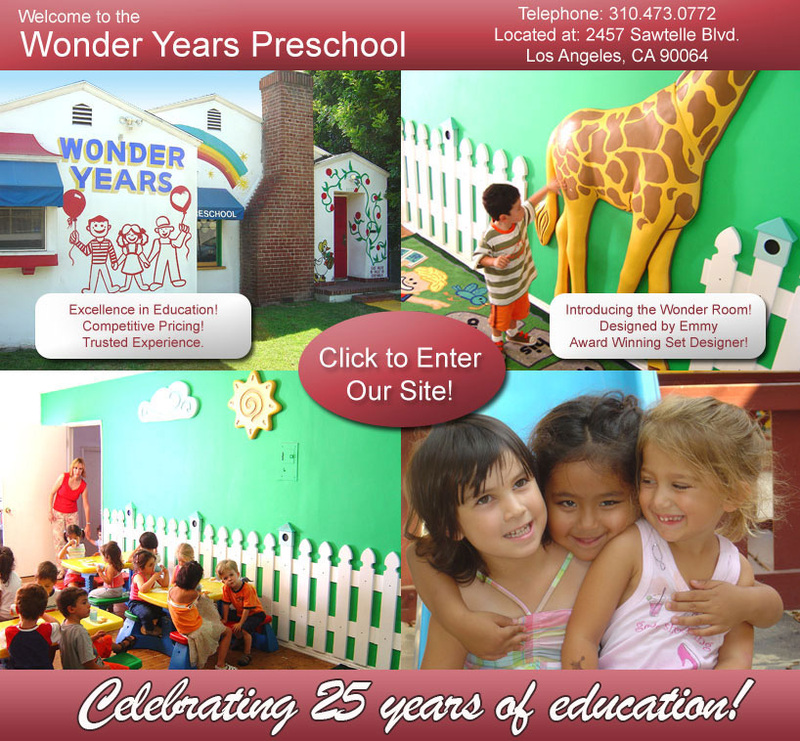 Wonder Years Pre-School was established in 1989 and serves the Beverly Hills and West Los Angeles areas. Our philosophy is: Learn through play and discovery, using various art mediums with an age appropriate curriculum. Emphasis on the emotional, social, physical and cognitive development of young children. Take a snapshot of a typical day at Wonder Years Preschool, and you can't help but notice the fun! And although it may all look like fun, you're actually seeing something else as well—learning. On our web site we also feature a line of educational toys recommended for preschool children. These toys represent the highest quality your child deserves.